Before You Start to Look For Care at Home for Your Parent Do These 5 Things! You are sound asleep, it's the middle of the night and you get a call from the police, your Mother has taken a fall and is being rushed to the hospital. You are sound asleep, it’s the middle of the night and you get a call from the police, your Mother has taken a fall and is being rushed to the hospital. Panic strikes, all sorts of things go through your mind as you race to get dressed and on your way to the hospital. When you arrive you are ushered into her room and they tell you she dodged a bullet this time, and you can take her home with this caveat… she must have care at home and you must arrange it before she can leave. WHAT?? How am I ever going to find care where do I go and how do I get home care services for her? Maybe a nursing home, maybe the neighbor can go over? Overwhelm set in as you start to worry about kids getting to school the assignment you have due at work and now this, YIKES. The discharge planner hands you a list and says let them know what you have arranged. This is the worst case scenario, but in my line of work it happens all the time, that is when we get the panicked call for help. If you have aging parents you may get a call like this but for sure at some point, you are going to have to address how and where your parents want to live as they age and ultimately how and where they want to die. Some times this happens as a planned event, a thoughtful discussion about how your parents want to live as they age. More often than not though, this discussion comes after a crisis; something bad has happened, a fall, an accident or an event like leaving the stove on, that makes everyone stop and say HEY it’s time for something different. The problem with the latter process is… it is often done in a hurry (before leaving a hospital) and as a response to a crisis. The learning curve is steep so, at least being a bit prepared will decrease stress for everyone involved and help all of you make the best decisions you can for your parents and for you. #1 Start the discussion about your parents wishes early in a non stressed environment without a ton of distractions leave the kids with a sitter, keep it light but with a goal of information gathering in mind. The most important thing you can ask first is what do they want? Do they want to stay in their current living situation? Don’t share your opinion about what you think about where they choose to live. Ask about their wishes and proceed from there. Maybe they want to move into a senior living complex, maybe they want to live with you, maybe they haven’t really thought about it at all. They may have a complete plan already done and you can breathe a sigh of relief and enjoy the lunch! The goal is to see what their wishes are and then when something does happen you know where to start. This one may be tricky if your parents are not in the habit of sharing financial information with you but it becomes a key factor in care decisions… where is the money for care going to come from? Many people assume that Medicare and Social Security pay for in-home care BUT THEY DO NOT pay for much and most services are for short term care needs. 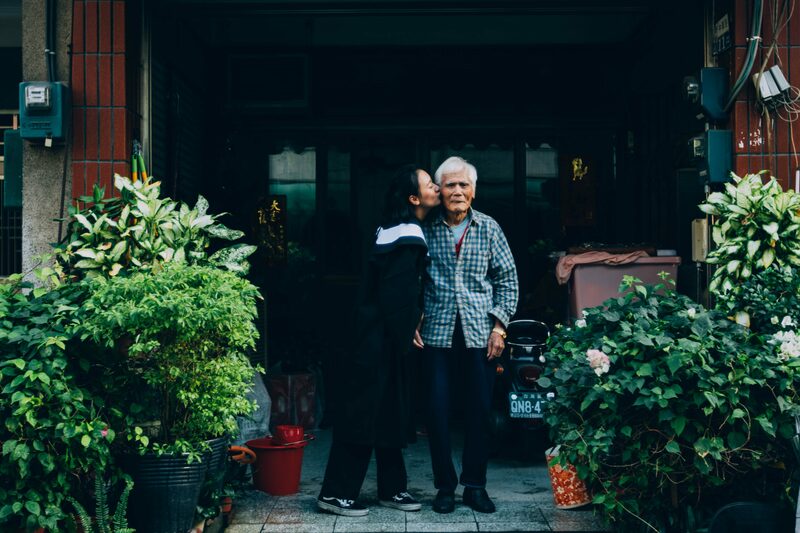 Care for an aging parent can get really expensive really quickly and so planning early will help guide the conversation about realistic expectations about the level and place where care will be provided. One of the biggest surprises people who are looking for care get is the cost associated with care. I see it time and time again when people ask me about how and when to get help for an aging parent, sticker shock! The cost of care is rising sorry to say, and there are many things that influence the cost you will pay. Location is a huge factor where you live makes a difference in cost if you are on the west coast USA the cost will vary from the cost of care in Iowa. States that have increased the minimum wage rules, clearly impact the cost of private home care. So do a bit of research on your local environment if you are in San Francisco one of the most expensive cities in the country your costs are going to be higher, simple logic. Do your parents have long term insurance that can supplement care at home? Find out how you can access the policy (have your parent put you on the list of those the insurance company will speak with). Was your parent a Veteran? There are a variety of financial and care services offered through the VA for service-related injuries. See the resource list below for ways to contact the VA. This concept is as much a frame of mind as it is an activity, and when you look at downsizing as zen like activity (konmari.com) one that can be an opportunity to reminisce remind and find what is truly important to your parents and to you. Label things you want and where they came from because in a few years your forget the history of an object and be desperate to remember the events that surround the long-held item. Frame this event and process as a stroll down memory lane as you go through artifacts, papers and possessions that are your life history, you never know, you may end up on Antiques Roadshow! Once you determine your parent’s goals you can start to look at care services for that environment. So if your parents want to stay at home then start your search and education on home care options. If your parents want to move into a senior living community, start there. If they want to sell their home and downsize to a smaller home in say, your neighborhood, see what that would look like. Many Realtor’s have additional education and training and earn a special senior designation (Senior Real Estate Specialist ) meaning they specialize and have unique knowledge in working with seniors. Each area, home care, assisted living and senior communities deserve their own unique article and information, however, this article will get you on the path to finding a family goal and strategy. Even if you have loads of support if you are or will be the primary caregiver for your parent or parents you now have new responsibilities and roles that you must incorporate into your work and family life. It is critical that you recognize that this is additional and as much as it might be your super power be kind to yourself. Before, during and after this journey. Build into the caring process time for you what ever makes you relax and rejuvenate find it and do it…often. Find what brings you joy and do it, share it and plan it. Build these self nurturing actives into your life as you get ready for this new part of life journey. Ask for help and accept it when offered. May of us have gone through this and many are going through it just as you are right now. Take solace on this and know there are tons of way to garner support and help you are not alone. Some are listed below and in times like these google is your friend. National Council on Aging (NCOA.org) which help people aged 60+ meet the challenges of aging by partnering with nonprofit organizations, government, and businesses. VA Caregiver Support Line by calling 1-855-260-3274. The VA Caregiver Support Line is available Monday through Friday 8a to 8p EST. In addition, you can visit the VA Caregiver Web site at www.caregiver.va.gov to learn more. The Alzheimer’s Association 24/7 Helpline at 1-800-272-3900. In addition, Alzheimers.gov is the federal government portal to information on Alzheimer’s disease and related dementia care.